Our second week in Madrid was fantastic! The only sad part about it is that just as we were starting to really “get it” and settle in, it was time to time to pack up and head to Porto! I think the lesson learned for us, from a working remotely perspective, is that a month is about the minimum amount of time we’d like to spend in any particular city. The weather this week turned a bit greyer, but we were ok with that since it is really beginning to feel like fall! 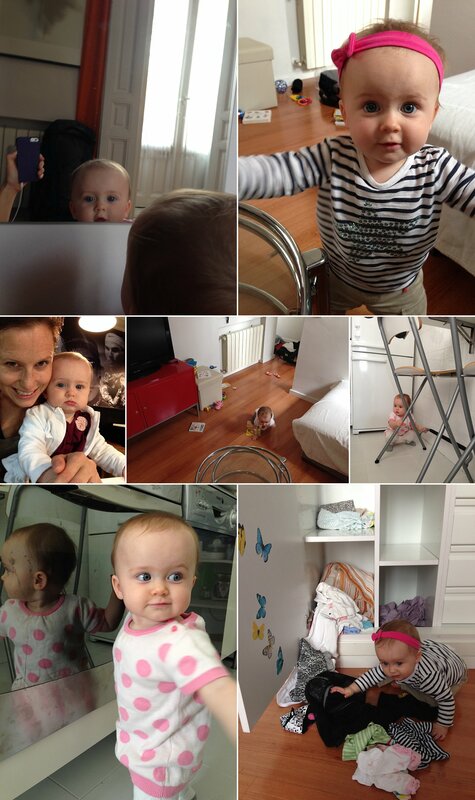 The week was spent working (both at home and in cafés), playing with Clara, and eating delicious food. We finally ate at our favourite café for working, Federal, and it did not disappoint! We may have splurged and got the chocolate Guinness cake–who doesn’t need lunch dessert? 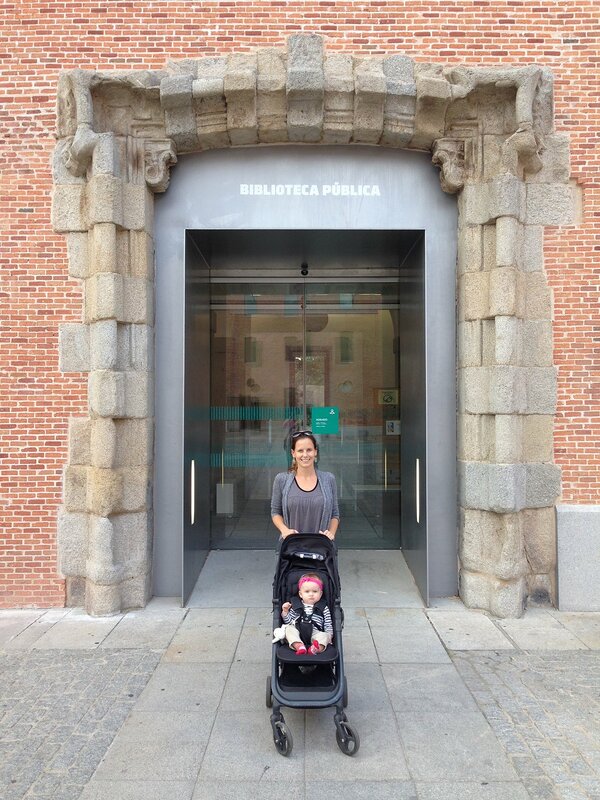 On Wednesday evening we took one of Clara’s first library pics and then went for a mini cañas crawl, basically stopping at a couple of places to drink €1(ish) beers and enjoy the free tapas that come with them! 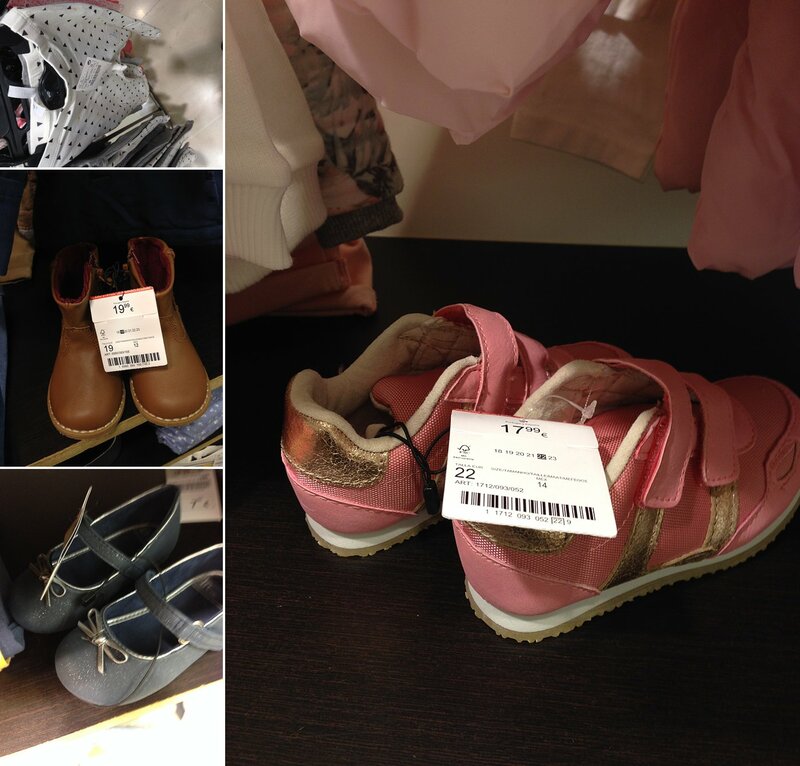 The first place we went was adorable, it’s pretty neat that in Europe we’re welcome to bring our baby places like this! By the end of the second stop, Clara was way bored of cañas crawl (despite dancing on the bar), so we headed home for dinner. Clara’s been eating like a champ this week; her most successful meal ever was on Wednesday night: spiral pasta with meat sauce. We simply spooned a big serving of pasta onto her plate and she went to town! 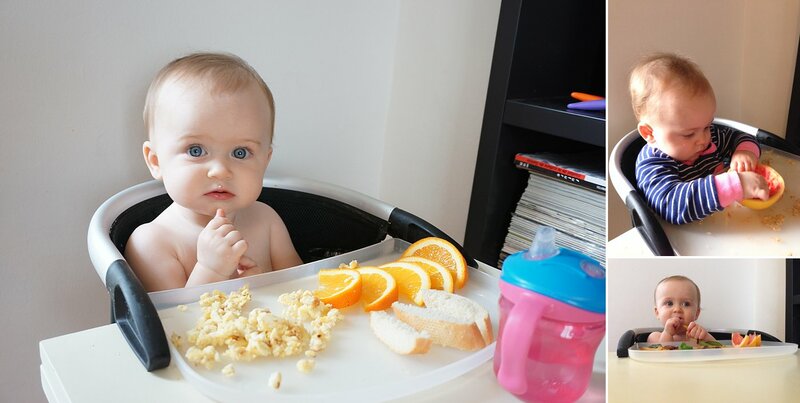 Baby-led weaning has been perfect for our lifestyle. When we go out for meals we just feed her tastes from our plates. And, rather than getting bored waiting for said meals to arrive, she eats bread with us (her lack of teeth means one hunk of bread lasts for quite awhile). She’s getting really good at eating bread-I’ll be curious to see if this makes her less sensitive to crusts when she is older (since she only gets crusty bread)! On Thursday, after a bit of shopping, we went for a walk to track down what, a first glance, looked like my dream shop: helado (ice cream) and patatas (chips). Turns out it was actually olives and chips (a more logical-albeit somewhat disappointing fit), but we did indulge in a small bag of fresh chips for the whopping price of €0.40. We stopped for one more caña at a hole-in-the-wall on our way home, this one was a “doble” for €1.20, but it didn’t come with a tapa… Oh well, you can’t win them all! On Friday we took shorter work spurts and went for a spanish menu del dia at about 2:30 for lunch. I don’t quite remember how I came across BarAmor, but it was delicious. This menu cost €11.50, but included a starter, main, dessert, a bunch of wine (1L-ish for the two of us), a gaseosa (to make tinto de verano), and a café con leche. The food was delicious, the boozey-lunch was super fun (since we don’t usually do that), and the place was adorable. It was the perfect way to cap off our time in Spain! 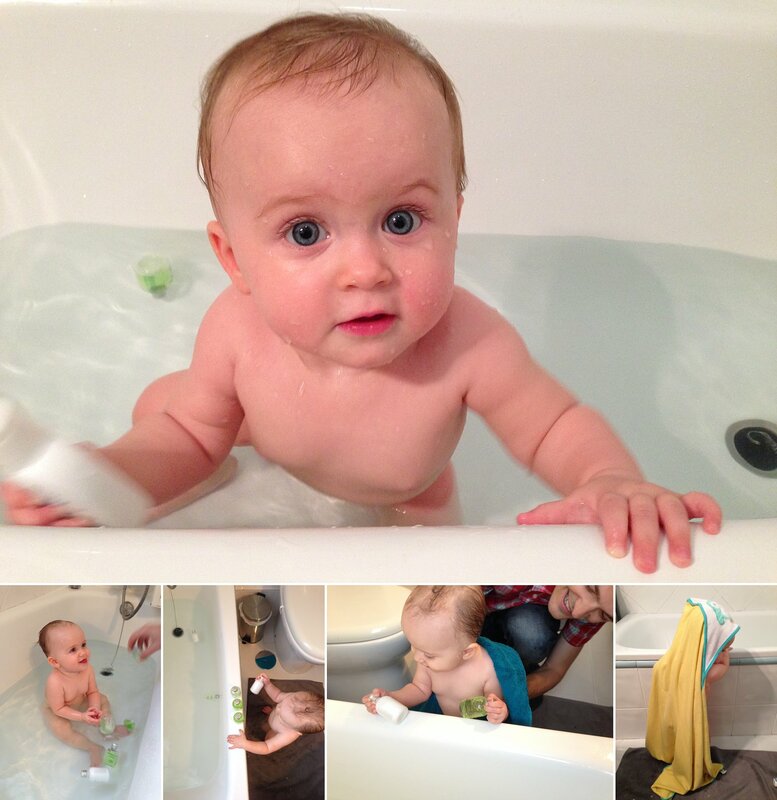 One of Clara and her dad’s favourite things in this apartment has been bath time! So we took a few pictures to commemorate. Who needs to pay for bath toys when your host provides you with sweet hotel amenities! Sadly, Friday night was brutal, the neighbours across the street turned up their turntables at about 11pm and it went on … all … night … At one point we just gave up and relocate to the living room to sleep on the couch. Our 5:30 am wake up call came much too early on Saturday morning, but then it was onwards to Porto! *At the time I posted this post, the name of the apartment indicates it is in Barcelona, that’s not true—it’s actually an apartment in Madrid.